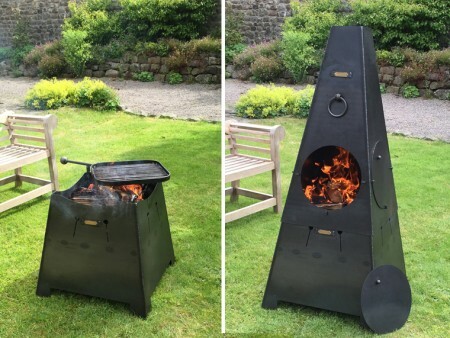 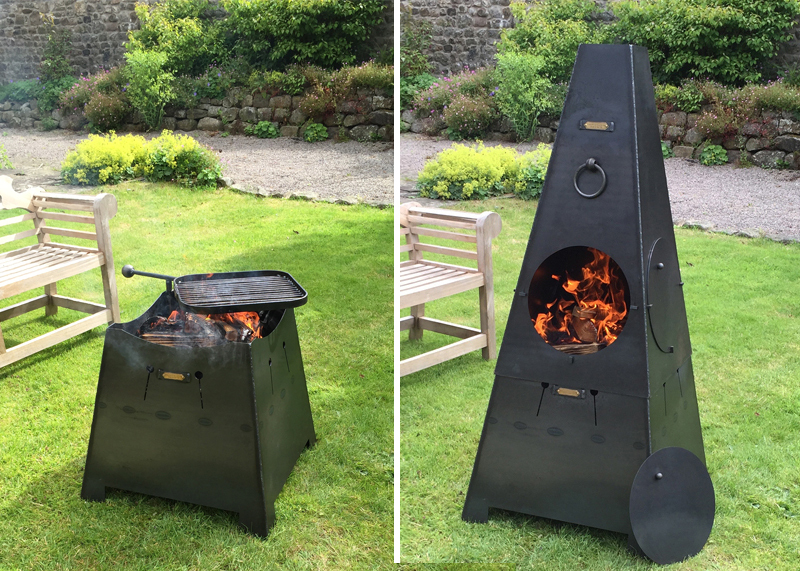 A clever design combining a chiminea and fire pit all in one! 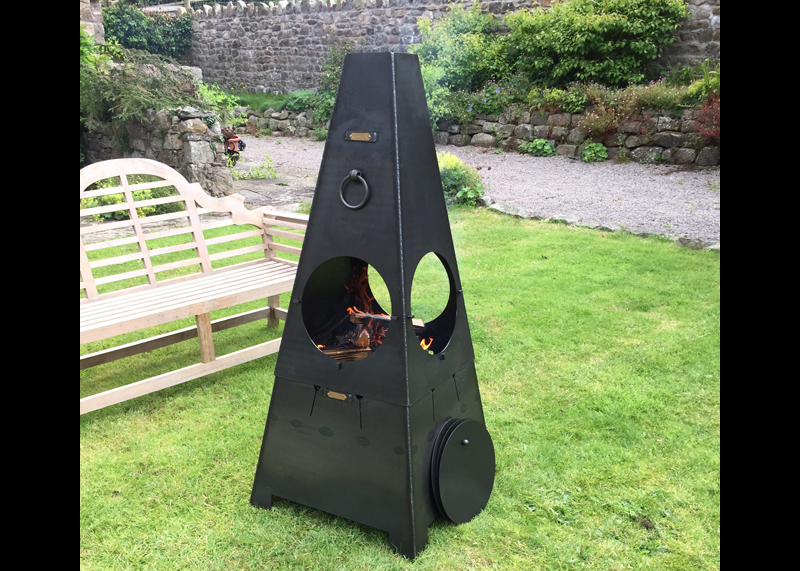 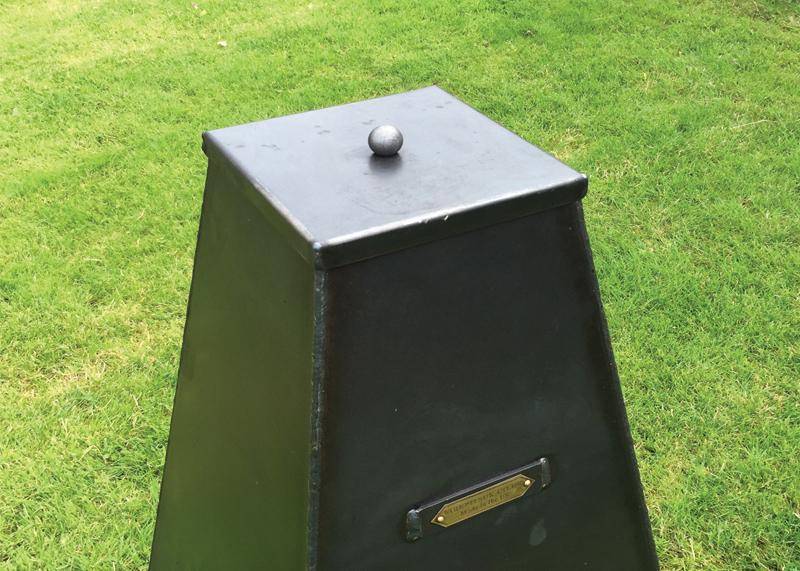 Unlike traditional Chiminea’s, our design comprises of four port holes which can be individually opened up or shut off to radiate heat as required. 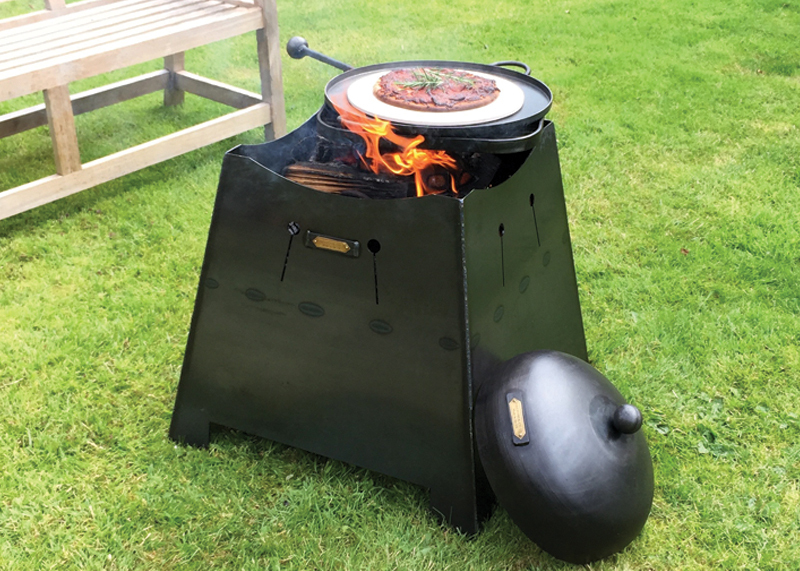 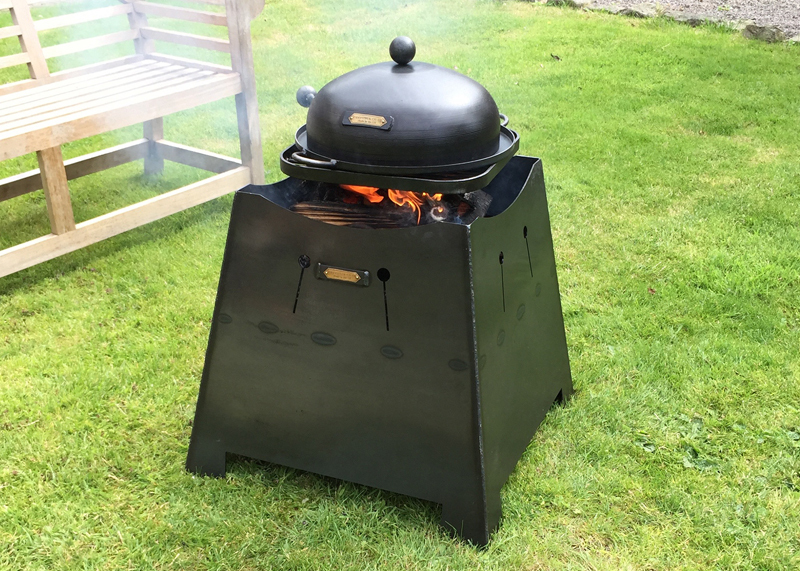 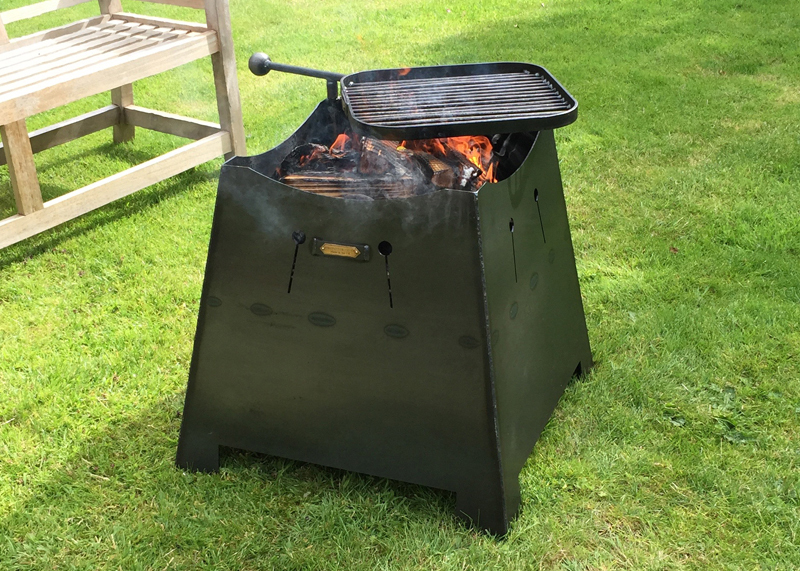 With the top removed, the base can be used purely as a fire pit or with the swing arm in place, it provides the perfect area for cooking over. 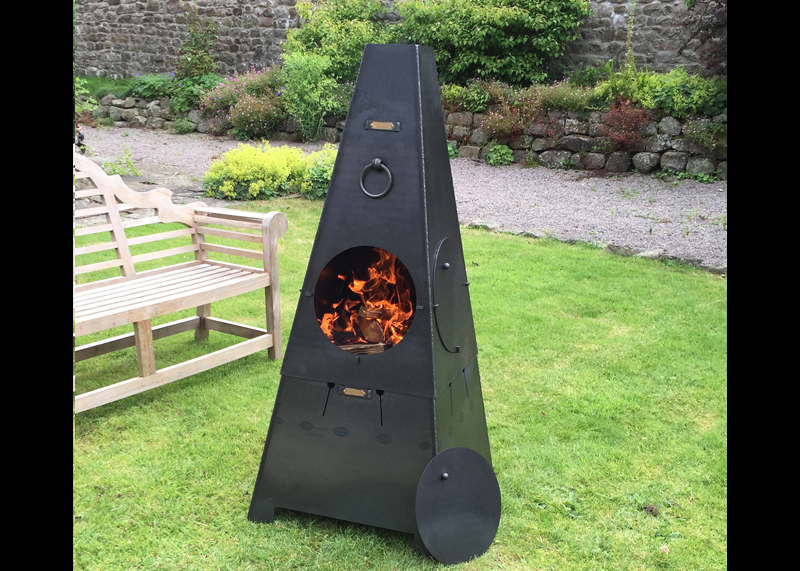 An ideal combination that provides a fantastic focal point! 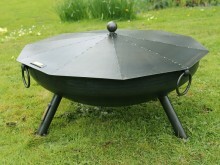 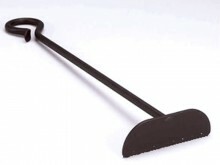 Hand forged in the UK.